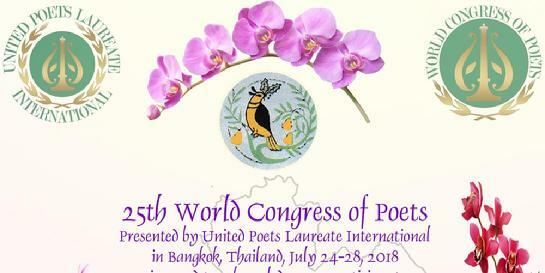 Approximately every two years, United Poets Laureate International invites Natica and Richard Angilly's Poetic Dance Theater Company to perform at a World Congress of Poets. 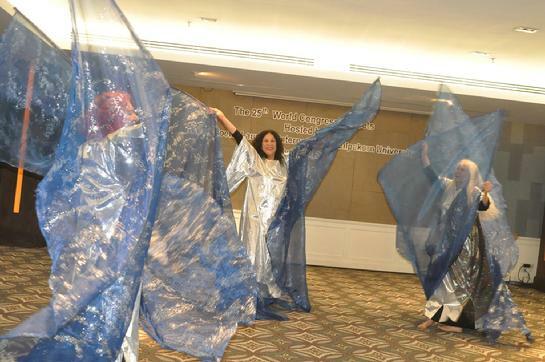 In 2018, PDTC went to Thailand for a dance performance and to share poetry. Most of the members of the PDTC are also poets. 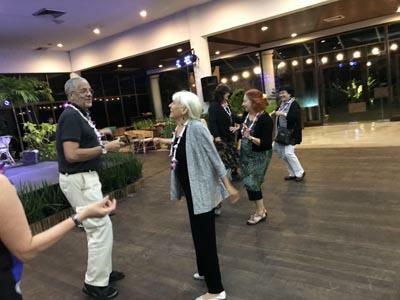 Through the photos below, visit Thailand with us at UPLI's World Congress of Poets held at the Sampran Riverside Hotel in Nakornpathom, one hour west of Bangkok, Thailand. 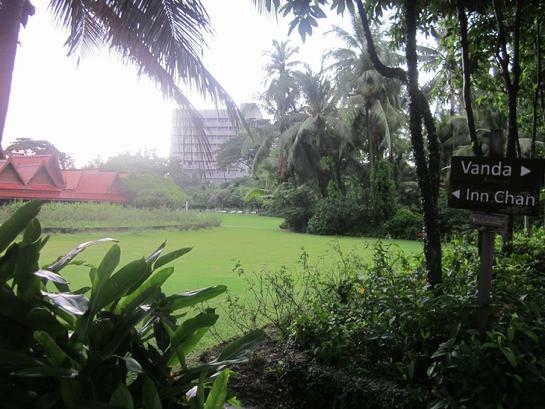 The Sampran Riverside Hotel sits on about 70 acres of lush jungle and spacious lawns interlaced with meandering creeks and the Ta-Ching River. 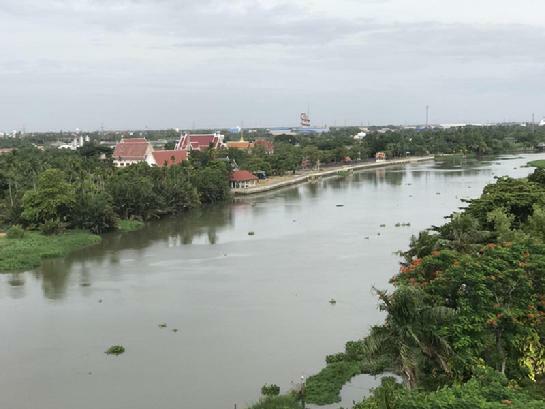 Most of our rooms had a view of the Ta-Ching River with floating clumps of water hyacinth and a temple on the opposite side. 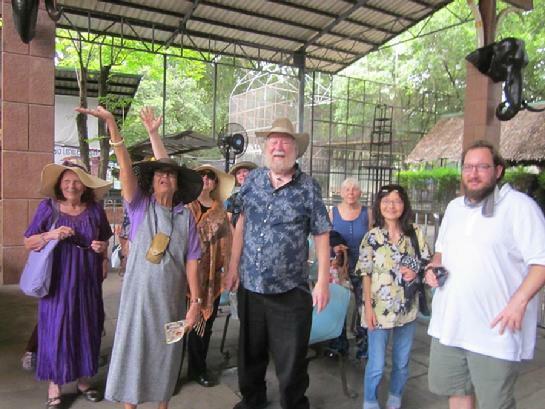 We went early to become acclimated and see some local sites such as the Elephant Zoo. 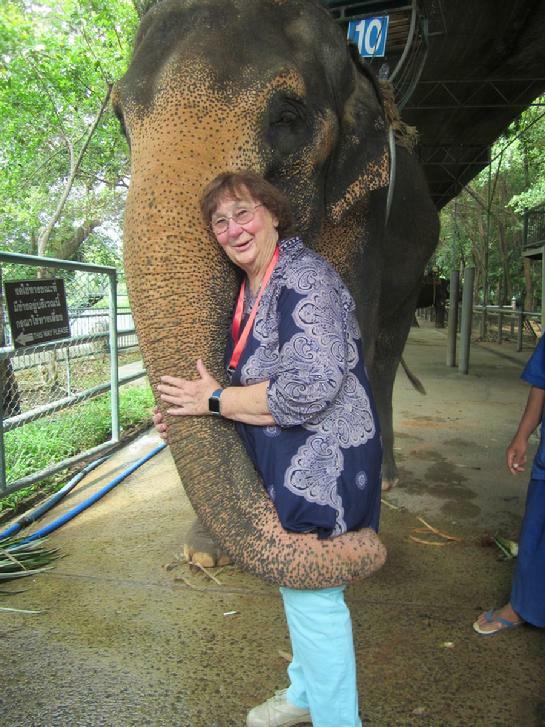 We all got to hug an elephant and be hugged in return. Later, most of us got to ride the elephants. 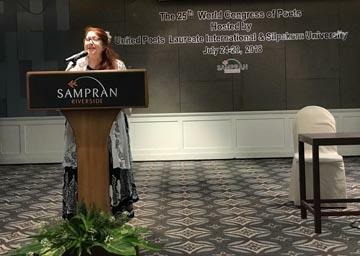 All poets had an opportunity to formally read at the podium for the general assembly. 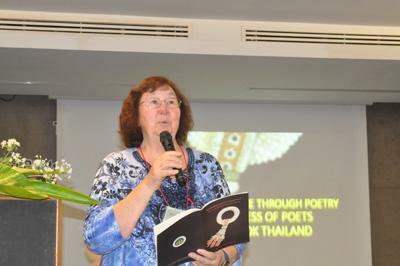 Various talks on poetry were given. 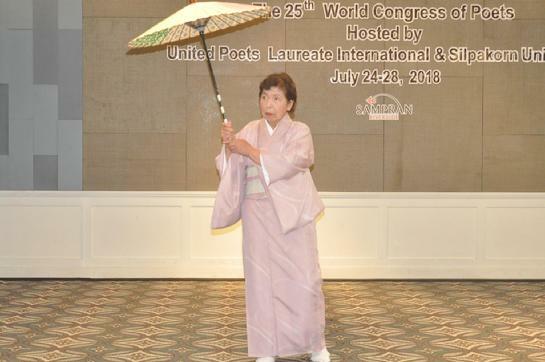 Shinko Fushimi spoke about a classical Japanese Ode. 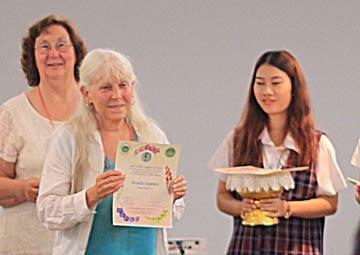 Awards and certificates were presented. 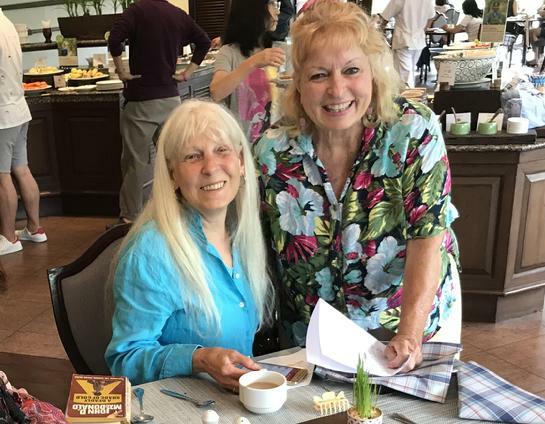 Wanda Inmire receives her certificate from Judy Cheung who assisted WCP Pres. Puntalee (Noi) Jirathun. 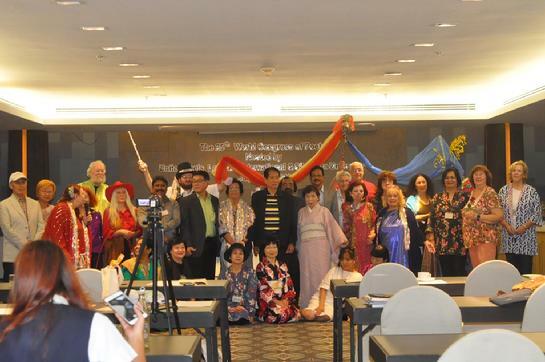 We were also assisted by seven students from Silpakorn University, one is pictured here. 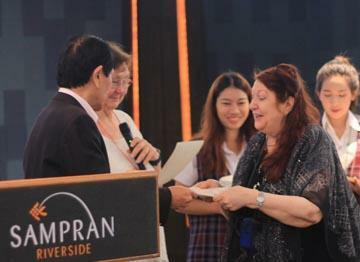 Natica receives her certificate from United Poets Laureate President Virgilio (Gil) Yuzon. 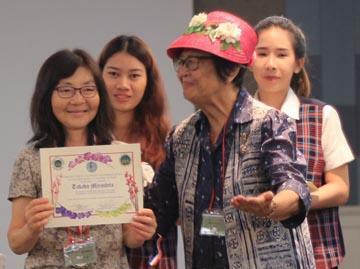 Takako Myashita received a medal and award certificate from WCP Pres. 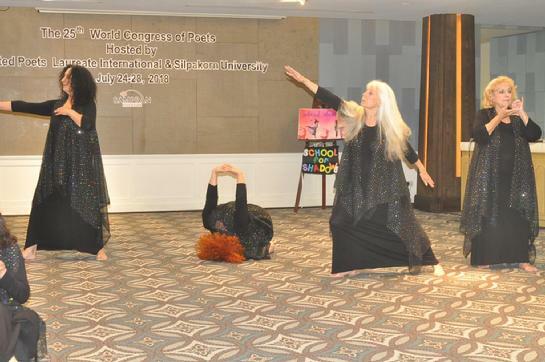 Noi for combining the concepts of ikebana flower arrangement into poetry and dance. For the dance performance, Natica Angilly told a little about the dance troupe and our parent organization, Artists Embassy International. 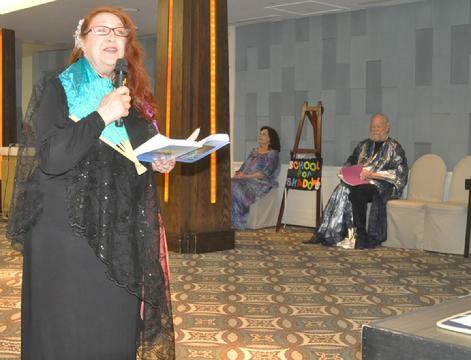 She also read a poem from her book which was available at the Congress. Alisha Rodrigues MCed the program for us. 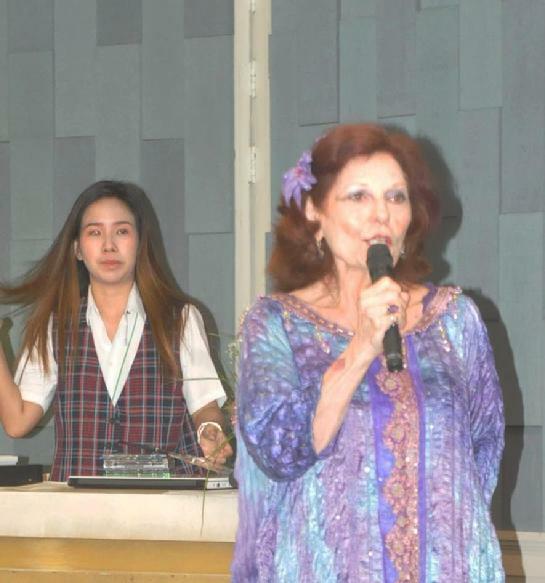 Behind her is one of seven students from Silpakorn University who helped everyone throughout the Congress. The Show opened with Natica's poem "Delighting in Laudable Light." 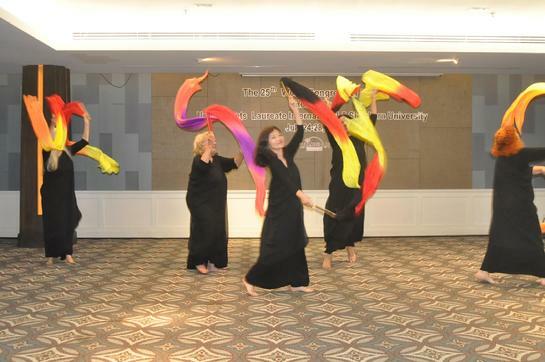 The Show continued with the awesome "Wind Music." 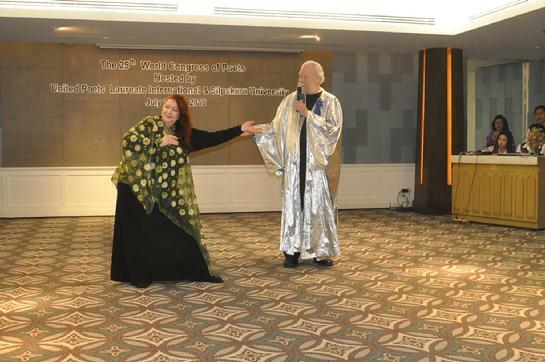 Natica and Richard Angilly performed as The Poet and The Dancer, the act that has been theirs since they were first married. 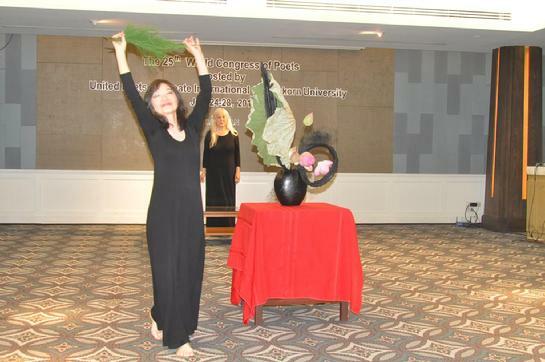 Takako Myashita performed her ikebana creation of flower arrangement being danced to a poem. 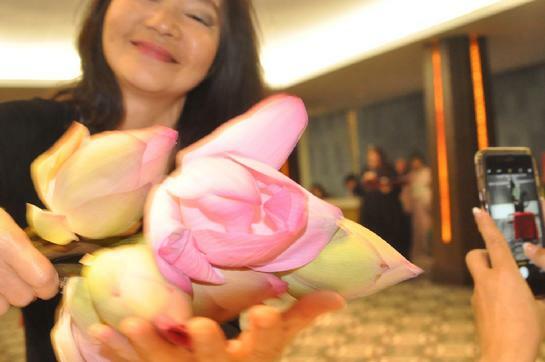 For this performance, Takako used freshly cut lotus from the hotel's lotus pond in their cultural village. "Shadow Dance" by Claire J. Baker, played with the shadows created behind dancers on stage. 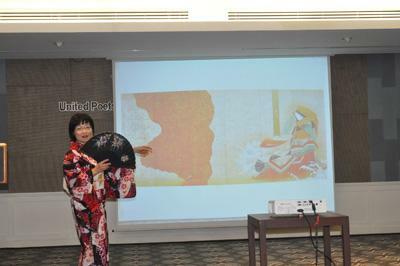 Sonoko Yasumori from Japan joined PDTC to give us her talent. The signature finale for PDTC is "Circus" where they introduce each performer. 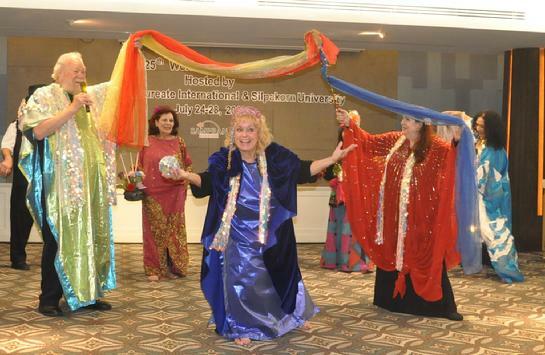 The finale to the finale is to invite everyone one into the dance troupe for a group photo op. 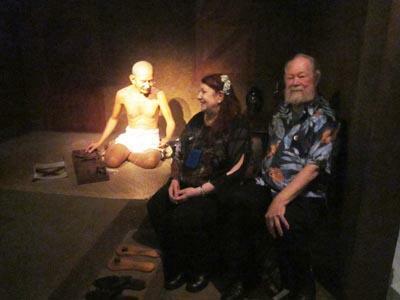 We were taken on tour by the WCP to a local wax museum of history and culture where Richard and Natica Angilly were able to sit down with Gandhi. After the museum, we were refreshed with coconut water directly from fresh coconuts. 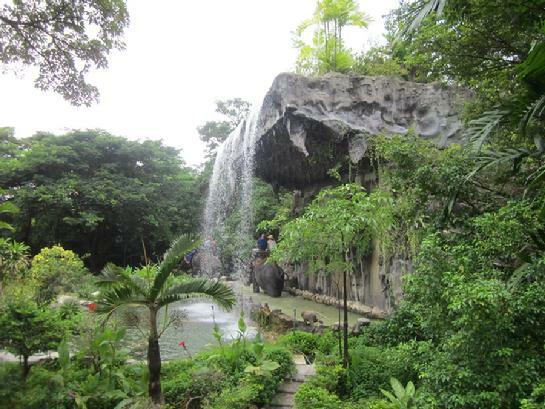 We visited local temples and shrines. 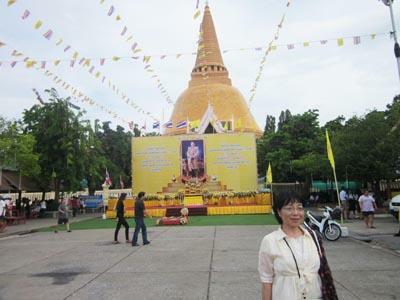 This is the largest stupa in Thailand. 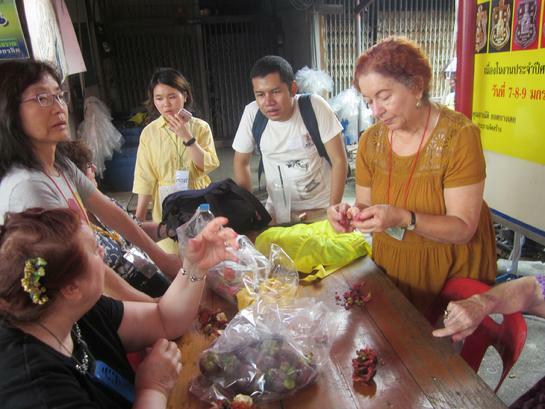 We also visited a local market with many exotic tropical fruits and other delectable items. In the evenings, we often danced at Vanda's, sometimes to a live band. 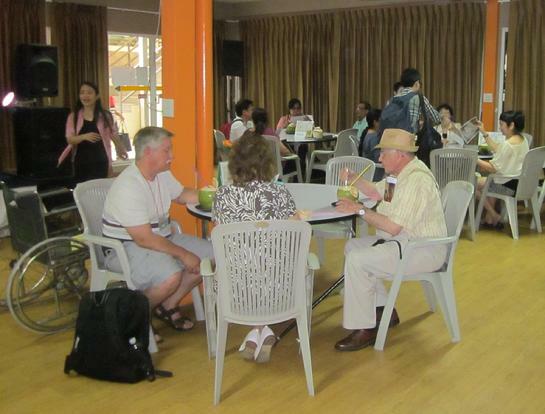 The food was great, with many restaurants around the hotel grounds to choose from. The breakfast buffet in the hotel lobby's restaurant was superb! A few of us stayed an extra few days. 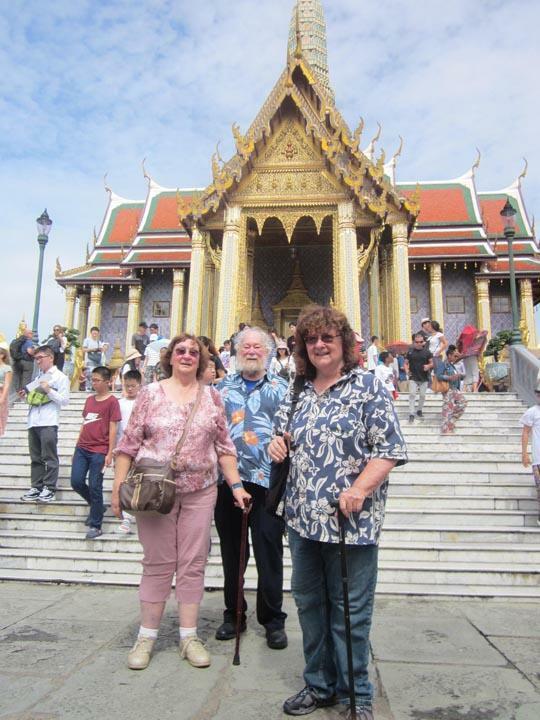 We visited the Grand Palace in Bangkok. 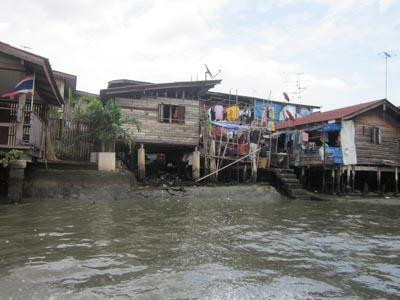 We also took a boat ride through the canals of Bangkok and got drenched in a warm monsoonal downpour. 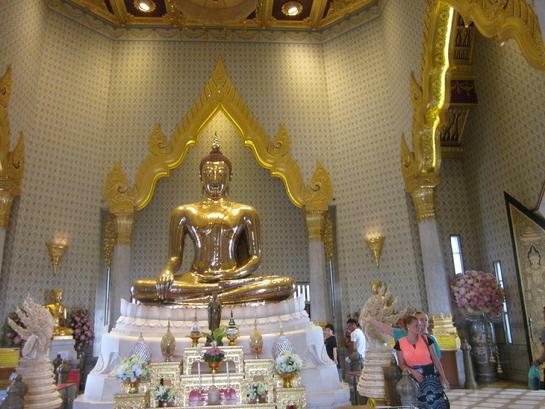 We also saw a solid golden Buddha, larger than life. This was a very inspirational ending to a very inspiring poetic adventure.